The new duties have been gradually phased in since 2012; with the larger employers going first. But duties for small and micro employers with up to 49 workers commence from 1st June 2015. Ideally, you should allow up to 12 months to prepare because as the smaller employers start to begin their duties, so the volume significantly increases. It is estimated that at the peak, well over 200,000 employers will be required to comply with the new regulations in one quarter alone. Get ahead of the traffic jam and use our handy infographic checklist to make sure you're ready in time for the new Workplace Pensions regulations. 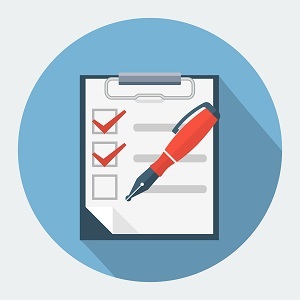 Use this checklist to keep track of your progress. Please note that, if you don’t have to automatically enrol any staff, you may not need to complete every step. However, you will still have tasks to complete.